In 1945 the USSR found itself in possession of not only vast new tracts of land, where it swiftly set up puppet governments, but also thousands of German engineers and scientists, and countless previously unknown items of hardware. Many of the latter were Allied developments, but the greatest effort was put on finding out about German jet and rocket engines. New electronics, especially radar, came a close second. Tens of thousands of prisoners were screened to separate out those with knowledge of these subjects. Very little had been done on radar prior to VE-Day (8 May 1945); Russians said, ‘We were too busy fighting’. By 1946 substantial research and design teams had been organised to make up for the deficiency, and these naturally made the maximum use of existing German hardware and projects. By the end of that year various radars had flown in Pe-2 and Tu-2 aircraft, and on 22 March 1947 flight-testing began on the Tupolev 63P (P for Perekhvachik, interceptor), with Service designation Tu-1. Distantly derived from the Tu-2S, this impressive three-seater had the awesome armament of two devastating NS-45s under the forward fuselage and two NS-23s in the wing roots, plus upper and lower 12.7 mm UBTs for rear defence. The 63P was the first Soviet aircraft designed to carry AI radar, the installation (called PNB-1 Gneiss-7, gneiss the same word in English) being based on the German FuG 220, with tail warning. By January 1948 the V-VS (air force) and PVO (air-defence forces) firmed up a long and detailed specification for a jet-propelled night and all-weather interceptor, to be fitted with radar and have the highest possible flight performance (maximum speed was to be not less than 1,000 km/h (621 mph). To support this effort, on 7 December 1948 the Council of Ministers issued a decree calling for the development of the radar, leading to high-priority effort by three specially formed OKBs (experimental design bureaux). Meanwhile, the four principal fighter OKBs also beavered away on the aircraft. Predictably, they all chose to use the imported Rolls-Royce Nene turbojet, which was the most powerful fully developed and flight-cleared engine available. With the Soviet designation RD-45, it had been rushed into production at a complex which originally grew to include five major factories. Remarkably, three of the OKBs settled on a unique aircraft configuration, which enabled them to use two engines on the centreline. The Lavochkin, MiG and Sukhoi prototypes all had a nose inlet feeding one engine low in the front fuselage, with the jet nozzle under the wing, and a second engine behind the wing with the jet nozzle at the tail. All three used the Toriy (thorium) radar, developed by the KB of A.V. Slepushkin, which provided search, track and gun-ranging using a single mechanically scanned antenna. A minor problem was that the first examples of this radar could not operate at the 8g design limit set for these aircraft. Lavochkin designed the La-200, with the scanner in the centre of a circular nose inlet. Wing sweep was 40°. 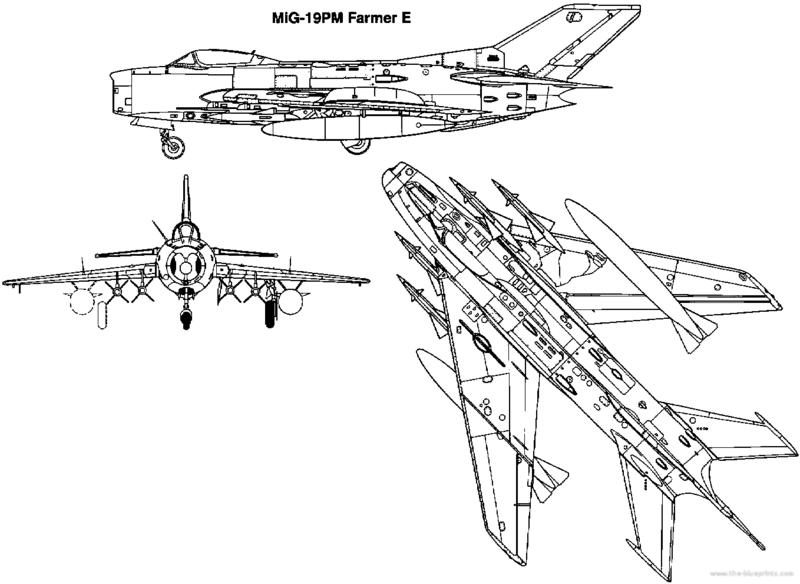 The MiG R, or I-320, and Sukhoi P, or Su-15 (no relation to a later Su-15), both had an almost untapered wing swept at 35° and the radar scanner in the 12-o’clock position at the top of the nose, above the inlet. Yakovlev used the derived Korshun (kite) radar, and boldly put it above the nose of a small single-seater which was also bold in having bicycle landing gear (like a Harrier) and wing sweep of 45°. Before any of these prototypes could fly, Mikoyan put prototypes of the Toriy radar into a modified MiG-15bis, and got it on flight test on 23 April 1949. MiG-factory pilots Col. Gregoriy Sedov and A.N. Chernoburov later also tested five more conversions with the improved Toriy-M, but NII-VVS (air force) testing resulted in the conclusion that a single-seat interceptor was simply too difficult, pilot workload being excessive. Mikoyan suggested to Slepushkin that he should work on automatic lock-follow radars, and meanwhile switched his aircraft designers to the Izumrud (emerald), a 60 kW radar with one dish for search and a second for locked-on target tracking, gun aiming and ranging. Meanwhile, the specially designed interceptors were on flight test, the Su-15 on 11 January 1949, the MiG R-1 (first I-320) on 16 April, the Yak-50-I on 15 July and the La-200-01 (without radar) on 9 September 1949. Each had good and bad points, the most serious problems being that, having had to abandon the Su-15 in flight because of violent flutter, the very experienced LII-VVS pilot Sergei Anokhin found that the neat little Yak-50 suffered severe Dutch roll (an uncontrollable oscillation) above Mach 0.92, and in a crosswind or on an icy runway it was uncontrollable. In any case, none of this first generation went into production, and the first interceptors to do so were SP-7 versions of the single-seat MiG-17, their service designation being MiG-17P (perekhvatchik). These were fitted with the RP-1 Izumrud, with the scanning antenna in the upper lip of the nose inlet and the tracking/ranging dish in a small radome in the centre. Used as trainers by the PVO and AV-MF (naval aviation), they posed the pilot with the problem of a high and sustained workload, and the upper scanner made the view ahead on landing marginally worse. Armament was two NR-23s, each with muzzle horsepower 5.5 times that of a 20 mm Hispano and almost ten times that of a 0.50 in Browning. By 1951 the MiG-15 had been replaced by the 15bis, with the more powerful VK-1A engine, in turn replaced by the completely redesigned MiG-17. In 1953 the MiG bureau rolled out the SP-6, a MiG-17 prototype filled with RP-1U Izumrud which had the capability of providing a circularly polarized beam, locked-on to the target. Along this beam could fly K-5 AAMs (air-to-air missiles) developed by P.D. Grushin’s OKB-2 Almaz (diamond) bureau. Four of these were carried on underwing rails. In 1955 the missile went into production as the RS-1U, and these equipped a small series of production SP-6 aircraft, which received the Service designation MiG-17PFU. These had no guns, and, after upgrading with the RS-2US missile, served as trainers for pilots selected for the MiG-19PM. The MiG-19 was a completely new design, made possible by slim axial-compressor turbojets designed by S.K. Tumanskiy. He was working in the engine KB of Aleksander Mikulin, so the first of this engine family was designated AM-5. First tested in early 1950, it was rated at 1,900 kg (4,189 lb), and a side-by-side pair were used in the MiG SM-1, or I-340. This was basically a MiG-17, and it reached Mach 0.997 in level flight. Mikoyan’s team were by this time building the SM-2, or I-360. This was a totally fresh design, with a longer fuselage, slim wings swept at 55° and a high T-tail. Fitted with twin AM-5A engines, it flew on 24 May 1952, and led to the production MiG-19, with many changes, including a low-mounted tailplane. The MiG-19S introduced an all-moving (so-called ‘slab’) tailplane, and by 1954 it had led to a series of SM-7 prototypes which in turn led to the production MiG-19P. These were gun-armed interceptors with RP-5 Izumrud radar and two of the devastating NR-30 guns, the engines being the AM-9 each rated at 3,250 kg (7,165 lb) with afterburner. Level speed was Mach 1.35. By 1957 surviving aircraft were brought up to the standard of the MiG-19PM, fitted with RP-2U Izumrud 2 and four RS-2U missiles. 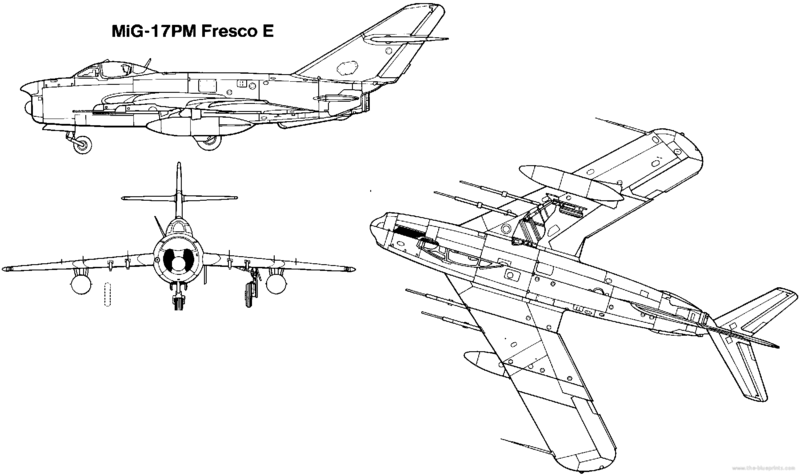 By this time newer interceptors were available, and only about 260 MiG-19PM aircraft were delivered, of which half went to Warsaw Pact countries. More significantly, five were sent in crates to China, where such aircraft were to become much more important. By 1951 the need for a night and all-weather interceptor had become urgent, to counter the menace of the USAF Strategic Air Command with jet bombers carrying thermonuclear weapons. On 10 August of that year the Council of Ministers, accepting that the first crop of such aircraft (described previously) were inadequate, issued a decree calling for a superior aircraft. Tupolev’s OKB was overloaded with large strategic aircraft, Sukhoi’s had been closed, and Mikoyan was fully occupied with the small aircraft already described, and with plans for much faster aircraft with delta (triangular) wings. Lavochkin persisted with the La-200B, with the engine installation modified with three inlets (the bottom one feeding the front engine, the side inlets serving the rear engine) leaving the nose free for a large radome housing the 1 m scanner of the RP-6 Sokol (falcon) radar. First flown on 3 July 1952, it could be seen from the start to be a basic design developed too far, and not in the same class as its Yakovlev rival. The Yak-120 was virtually the little Yak-50 scaled up, retaining the same arrangement of nose radar, mid-mounted wing and bicycle landing gear. The differences were that under the wings were two of the slim AM-5 engines, each rated at 2,000 kg (4,410 lb), and behind the pilot was a second cockpit for a radar operator. The ailerons and elevators were hydraulically boosted, and fuel capacity was no less than 3,445 litres (758 Imp. gallons). The radar was to be RP-1 Izumrud, and there was a most comprehensive fit of all-weather avionics for navigation and blind landing. Armament comprised two of the awesome N-37L cannon. The first of two prototypes flew on 19 June 1952, and by late 1954 the production aircraft had entered PVO service, with the designation Yak-25 (a designation which had been used previously for a much smaller jet fighter). After delivering sixty-seven aircraft, production switched in 1956 to the Yak-25M, with RP-6 Sokol radar, RD-5A engines (AM-5A redesignated after Mikulin’s departure) rated at 2,600 kg (5,732 lb) and various other changes. The production plant (GAZ-292, at Saratov) delivered 406 Yak-25M aircraft by early 1957.